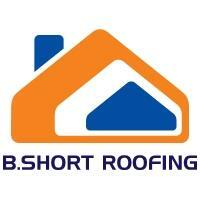 B Short Roofing - Fascia/Soffits/Guttering, Roofer, Windows/Doors/Conservatories based in Hutton, Essex. Hi my name is Ben and thank you for taking the time to view my profile. I have over twenty years experience in all aspects of roofing. If you need advice, a small repair or a new roof please don't hesitate to give me a call or request a call back and I will return your enquiry. I am fully insured and all work comes with a guarantee. Please feel free to contact me today to discuss your individual requirements.